This is the total number of profanity incidents in this 250 page book. “Slumdog Millionaire meets Ratatouille” (The New York Times Book Review) in this “delicious fairytale-like read” (NPR) about family, nationality, and the mysteries of good taste. Born above his grandfather’s modest restaurant in Mumbai, Hassan Haji first experienced life through intoxicating whiffs of spicy fish curry, trips to the local markets, and gourmet outings with his mother. But when tragedy pushes the family out of India, they console themselves by eating their way around the world, eventually settling in Lumière, a small village in the French Alps. The boisterous Haji family takes Lumière by storm. 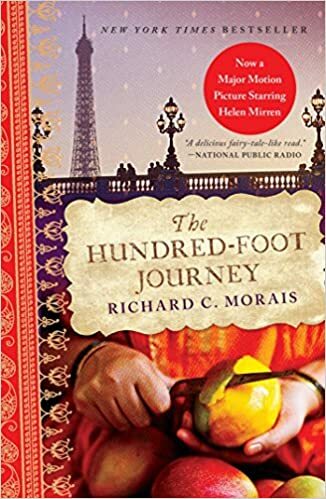 They open an inexpensive Indian restaurant opposite an esteemed French relais—that of the famous chef Madame Mallory—and infuse the sleepy town with the spices of India, transforming the lives of its eccentric villagers and infuriating their celebrated neighbor. Only after Madame Mallory wages culinary war with the immigrant family, does she finally agree to mentor young Hassan, leading him to Paris, the launch of his own restaurant, and a slew of new adventures. The Hundred-Foot Journey is about how the hundred-foot distance between a new Indian kitchen and a traditional French one can represent the gulf between different cultures and desires. A testament to the inevitability of destiny, this is a fable for the ages—charming, endearing, and compulsively readable.